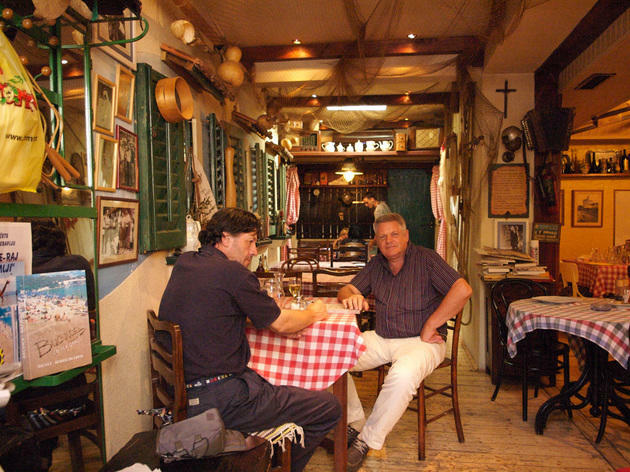 Once a bland café, the Radovani family's Hvaranin is one of the liveliest of Split's traditional venues. With mum and dad in the kitchen and son behind the bar, this is a second home for many journalists and writers whose books sit on the shelves. Everything is simple, home-made and delicious. Specials include gregada fish stew Hvar-style, and white risotto with mussels. Don't miss the traditional dessert, rožata crème caramel. Seating is limited so book ahead. Between the port and Bačvice this homely konoba offers simple relaxation. Pictures of Split throughout its history hang beside old Hajduk ones. Tasty, well priced food keeps locals happy: peppers stuffed with mincemeat and rice, pašticada stew and fish served in the Dalmatian way with blitva greens. 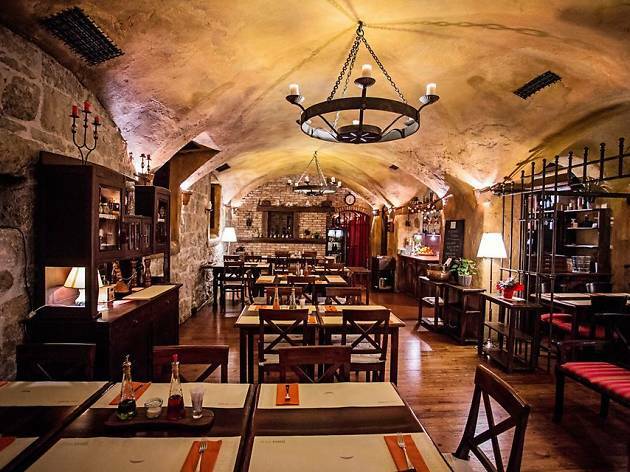 This small, family-run, checked-tablecloth restaurant in the heart of the Varoš quarter is a long-standing local favourite. 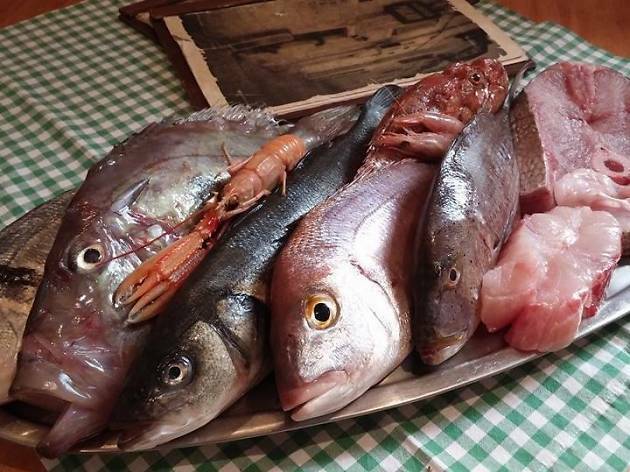 Pretty much everything in the Adriatic seafood repertoire is here – grilled fresh fish, seafood risottos, scampi, and squid. It’s also the kind of place where you will find traditional Dalmatian fare like pašticada, the trademark local stew made from beef marinated in wine and prunes. This splendid new venture from a Croatian who has spent many years in Berlin, lies on the western boundary of Diocletian's Palace, near the Riva, and shares an old building, smartly done up. 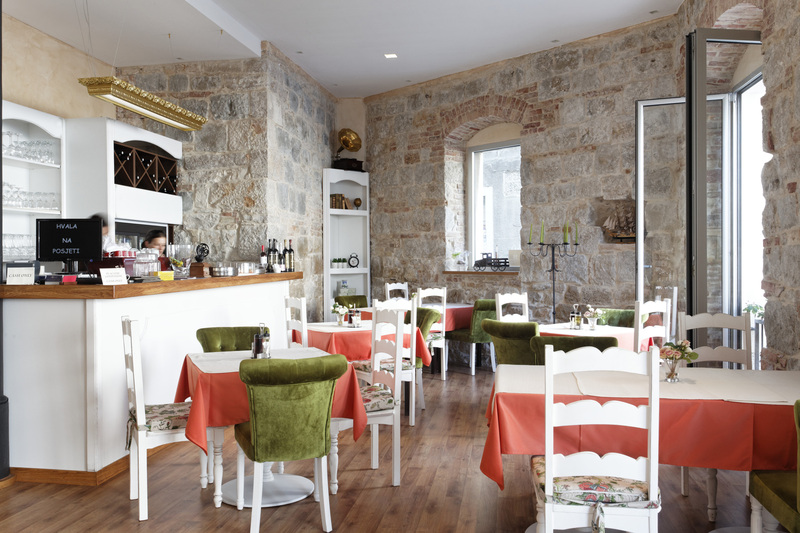 Green partitions, stone walls, bright art and simple furnishings make this a great place for an upmarket lunch. 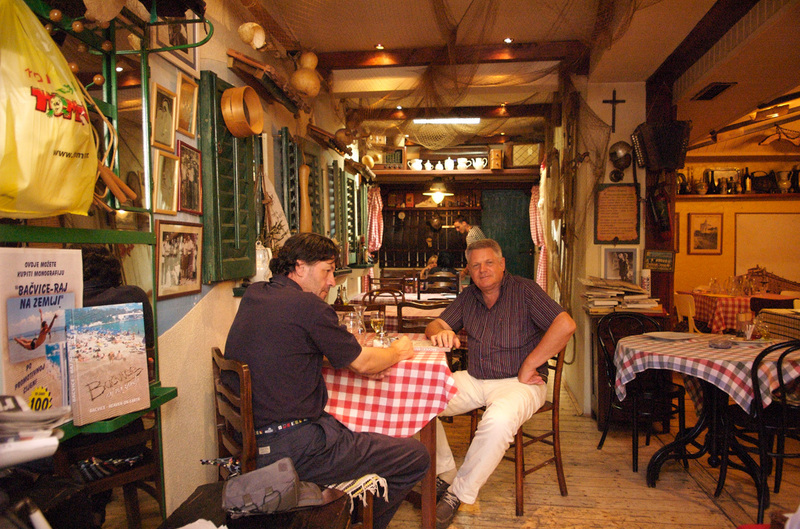 The traditional Dalmatian menu features home-made elements such as pasta and bread, includes a veggie corner plus plenty to appeal to meat and fish lovers. Round it off with home-made chocolate cake. Situated just above the coastal path that works its way east from Bačvice Beach, Dvor is a uniquely calming place from which to admire the inviting silhouettes of Šolta and Brač across the water. Sit in the conservatory or venture out onto the terrace shaded by trees. 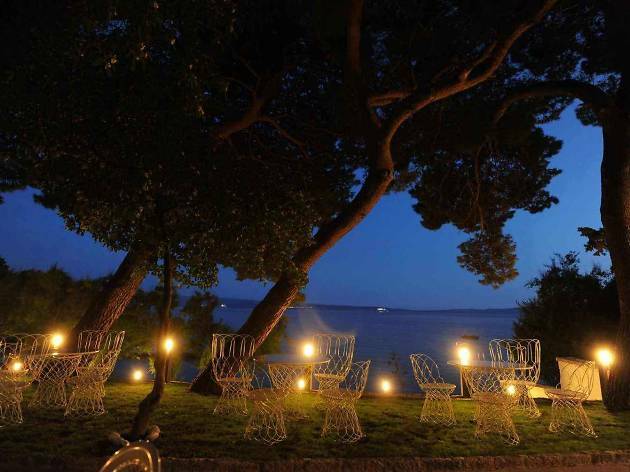 Dvor functions perfectly both as café and restaurant – fish, steak and fowl are fired up on the open grill overlooking the lawn outside, and there’s an excellent choice of Croatian wines by the glass. 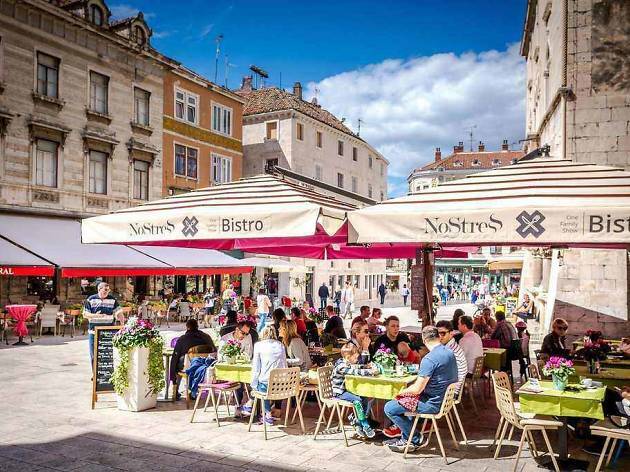 The growing cluster of restaurants at the gateway to the Varoš quarter is slowly turning the area into one of Split's prime dining-out strips. Latest addition Tinel is another establishment that endeavors to deliver quality Dalmatian fare at affordable prices, with seafood risottos and pastas in the 50kn range, and the likes of scampi and lobster at the more expensive end of the menu. 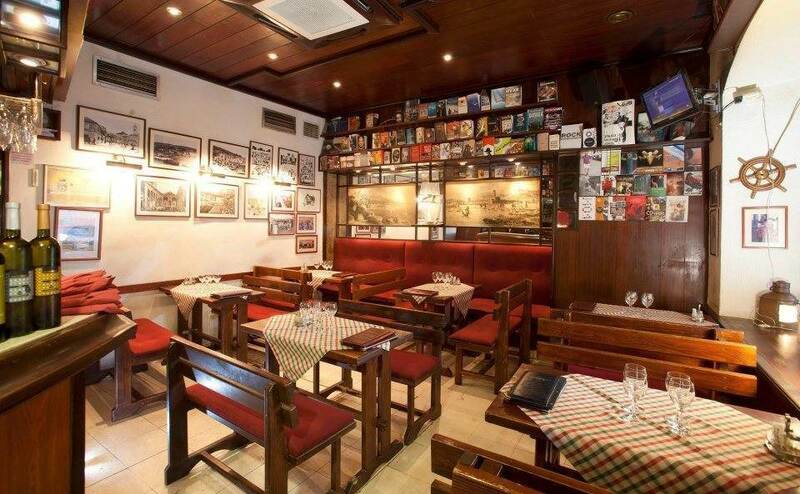 The restaurant has a refreshingly neat and colorful interior that doesn't go for retro Dalmatian cliches, and a cosy outdoor terrace at the back. 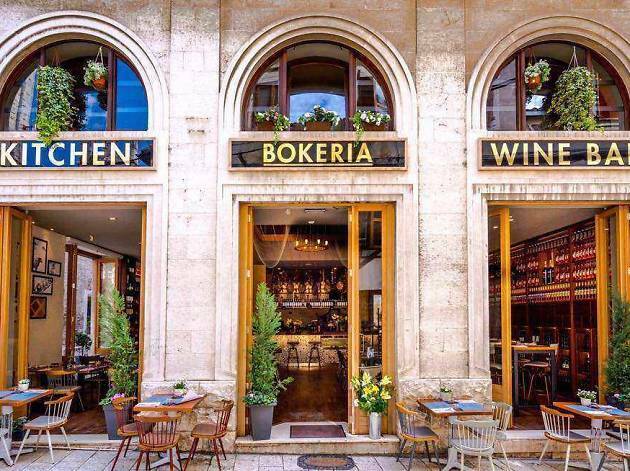 The owners of Bokeria, the Bokavšek family, are at pains to explain that the reason for naming their establishment after the famous market in Barcelona was to bring a spirit of diversity to Split. Judging by the growing popularity of this place since opening in 2014, that’s what they’ve achieved. Bokeria is set in a building that once was a hardware store, and site of a few failed ventures before someone finally managed to fill this vast space. 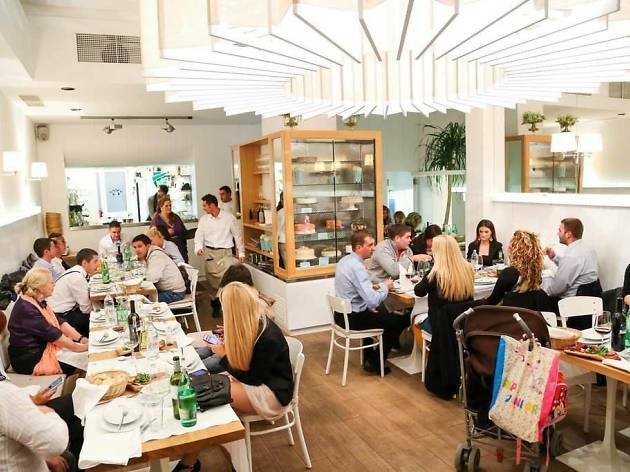 This is a big restaurant, compared to most others in Split, but it’s far from cold – the interior design is supreme in its simplicity. 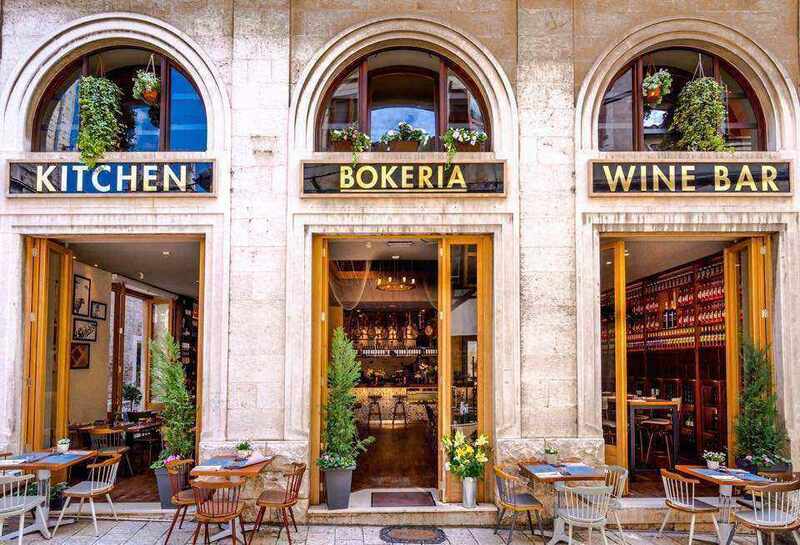 The food is conceived along the same lines – and also takes its lead from the venue’s full name of Bokeria Kitchen&Wine. 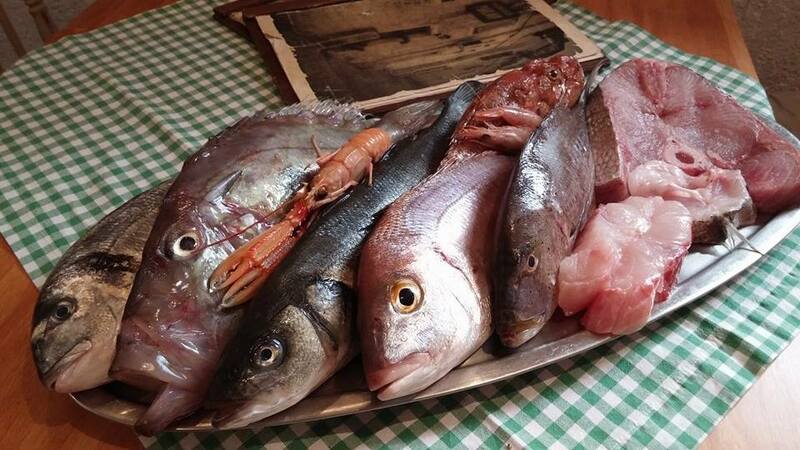 What’s on offer here is seasonal, with ingredients supplied from the local produce and fish markets. If there is a style in Bokeria’s cuisine, than it’s Mediterranean, something more than simply Dalmatian, from excellent vegetable concoctions to bruschetta to seafood, all the way up to steaks and beyond. The wine list is representative with the finest possible Croatian selection. Recently they instigated theme nights, and occasional smooth live music, mostly jazz. This restaurant was one of the biggest hits of 2014 season, and there’s no reason to doubt it won’t hit the spot again. Brasserie on 7 is a sort of extension of already well established Zinfandel, sharing ownership and philosophy with it. 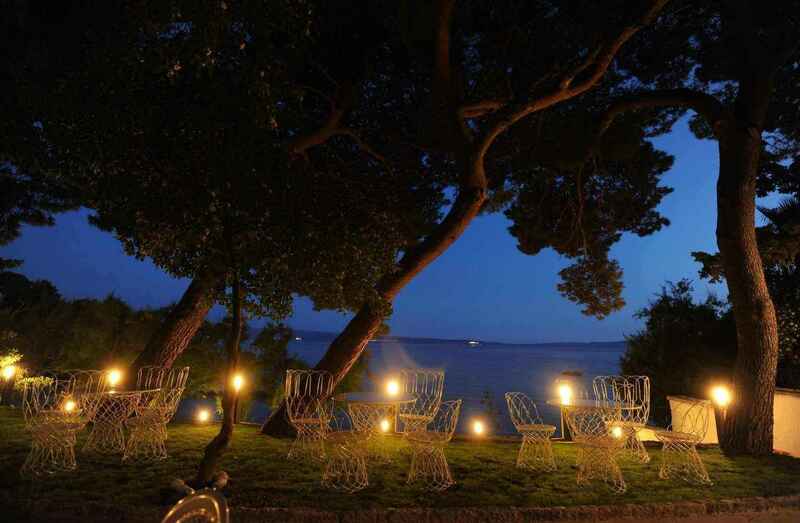 It's been opened at one of the most central locations in the city, in the middle of main seaside promenade Riva. 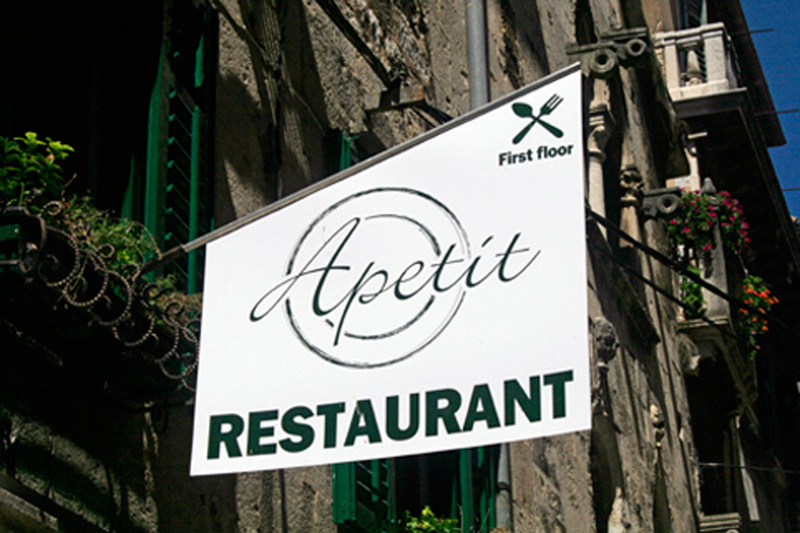 This restaurant became one of the new stars of Split gastronomy, with nice selection of re-defined local and international dishes. Highlights are chilled seafood platter, smoked salmon or an octopus salad on a fish side; Black Angus burger with pancetta and Portobello mushrooms or lamb leg with rosemary and yogurt for meat-leaning guests. Brasserie on 7 became one of the main spots for all dessert aficionados, especially with its special program "eat all the sweets you can for 29 kunas" (€3.8). 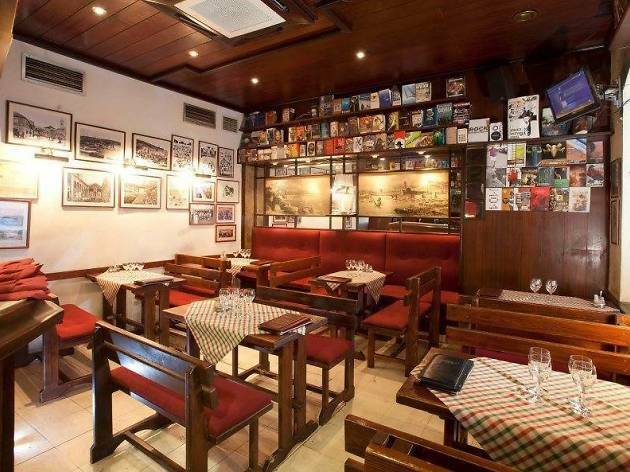 As for drinking, Brasserie on 7 has impressive wine list, similar to that of its sister venue Zinfandel, plus selected beers including those from excellent Istrian micro-brewery San Servolo. This place is also excellent choice for a coffee sipping on a sunny day, with the city life passing by. 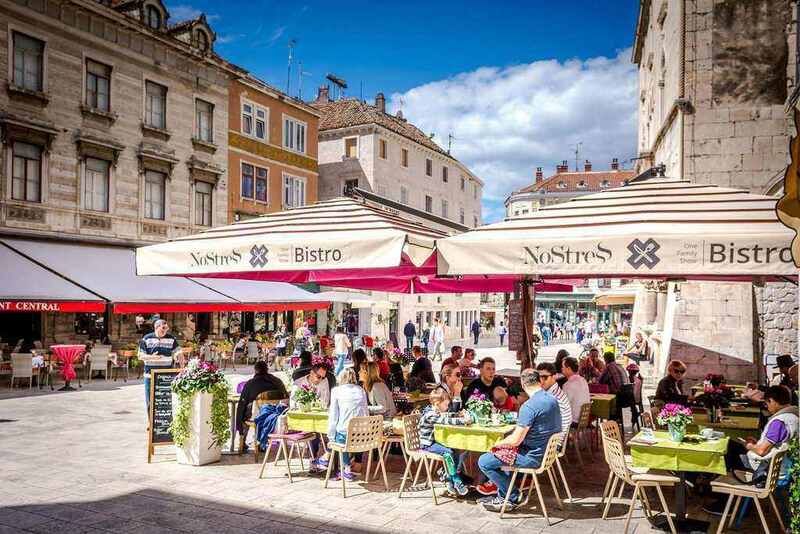 There are very few places in Split that can beat the location of NoStress, right at the busiest part of the city’s main square. This should be the perfect spot for a tourist traps. However, NoStress is far from that. 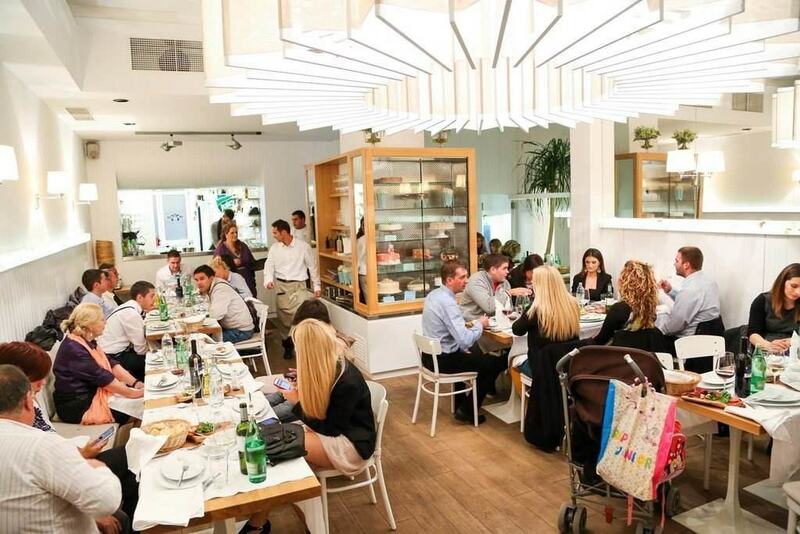 Ever since owners Žana and Željko Alfirević hired experienced chef Željko Neven Bremec, NoStress turned into one of the most innovative eateries in town. 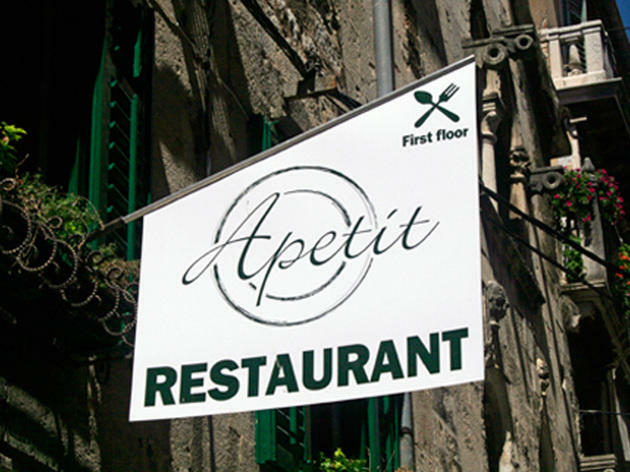 Its cuisine is mostly created from local ingredients, with ever-changing seasonal specialities such as wild asparagus in spring or home-made sausages in winter. NoStress is thus one of the real leaders in the new wave of Split’s gastronomic scene, experimenting with re-interpretations of Dalmatian culinary traditions. Probably the best example of this is the dishes made from boškarin, a cattle breed raised in the traditional way in of Istria, and certified for authenticity. Žana and Željko are also very dedicated in reviving some of the nicest elements of Split’s urban traditions, with regular events such as open-air dancing to nostalgic tunes of the 1970s and 1980s. Recently, they put on smooth live music on weekend nights. If by chance you stumble upon NoStress in the morning, it’s also one of the most popular coffee-sipping spots in town. 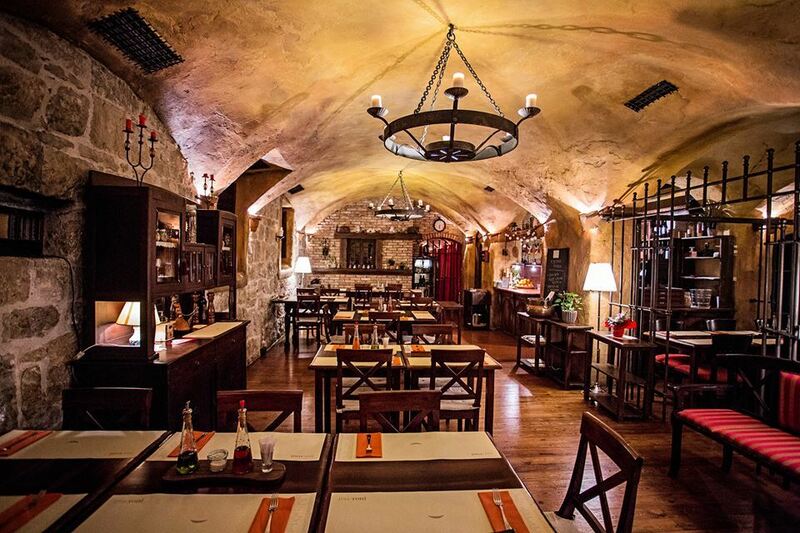 The former home to the Enoteca Terra restaurant and wine shop, and then the Tinita tavern, this stone-clad basement of a century-old building behind Bačvice now houses a brand new venture: ma:Toni. ‘Matoni’ was opened late 2014 by a couple: Toni Arnerić, the chef, and his girlfriend Tisija Prohić, responsible for hospitality. Ma:Toni quickly became a hot spot and might be one of the biggest discoveries of the 2015 season. 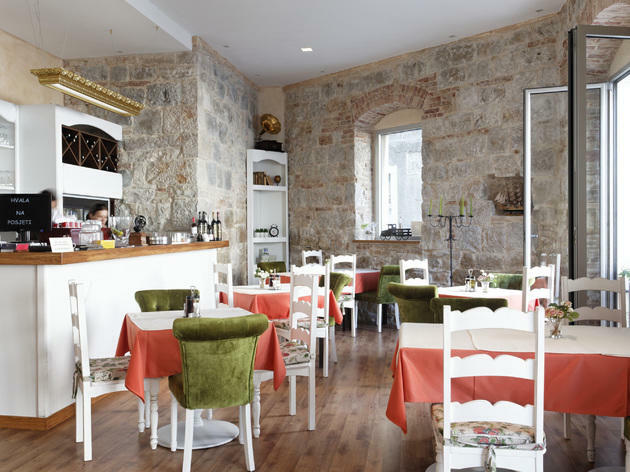 Unlike those at many other venues with orthodox traditional Dalmatian cuisine, ma:Toni’s menu brings non-conventional creations, with dishes ranging from vegan, to fish and meat. These feature home-made pasta with beef cheeks, gnocchi with duck breast, bull’s tail with mashed carrots and lamb-liver stew. Imaginative vegan-inspired dishes include palako pear: pear in black tea with vegan chocolate and ice-cream. With a location just metres from Bačvice beach, ma:Toni has potential in spades, and its dungeon-like setting provides welcome refreshment on hot days, especially when combined with a soundtrack of jazz, funk and bossa nova.